“From start to finish, Tim was a true professional. He was responsive, receptive to feedback/requests and helpful. He has a genuinely inquisitive and warm personality that makes everyone feel comfortable. But what truly sets Tim apart is the quality of his work. Tim’s fees were higher than we originally budgeted, but they were worth every penny. We hired Tim to photograph our engagement, a rehearsal dinner, our wedding and a farewell brunch. He captured each one of them beautifully. Even our guests commented on what a pleasure he was. 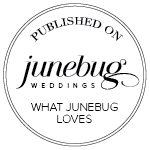 “The biggest challenge for our wedding was finding the right photographer. This was due in large part to me being a *former* professional photographer, having spent several years as a wedding photographer myself, and being represented by the world’s top agency, Getty Images. My standards were such that I probably wouldn’t even be pleased if I shot the wedding myself!! “Tim Halberg is a truly gifted photographer and we can’t recommend him highly enough!! You would be very very lucky to book him as your wedding photographer. Our wedding pictures were absolutely, breathtakingly STUNNING!!!!!! Tim really captured everything! The scenery, lighting, emotion, guests, energy…everything! One of our favorite moments of the wedding day was after the ceremony. Instead of posing for typical bride and groom photos, Tim told us to just be ourselves as he shot pictures of us. We walked around the redwoods, climbed around an old mill and just enjoyed the moment. 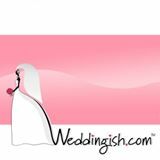 “Thank you so much for being a part of our wedding day! It was such an honor to “work” with you – we feel so lucky to have found you! You were the secret superhero of the day – finding hair gel, figuring out what was wrong with the sound on our slideshow, “encouraging” us along to the first dance in those few awkward moments after cutting the cake, having our slideshow ready for viewing the same night… and probably many more things we didn’t even see…! I also have been humbled to be featured by a ton of media outlets both local, national and internationally – and I’ve had the honor of photographing numerous celebrities over the years. Tim has had the honor to photograph numerous celebrities including Jack Black, Charles Barkley, Greg Olsen, Thomas Keller, Kenny and Gwendolyn Smith, Wolfgang Puck, Reggie Miller, Ray Charles, Kenny Loggins, Scott Weinger, Andrew Firestone, Billy Baldwin, Ray Bradbury, and some amazing hair-bands including Mötley Crüe, Jethrol Tull, The Scorpions, as well as MXPX – though I wish I had a chance to photograph Rage. “Is this real life Tim? Is THIS my wedding? I am literally in tears. I have never seen more beautiful pictures in my life. I am positive I’m not just saying this because it was my wedding. I am literally jumping on the bed waking Sunil up to see. You captured every raw emotion! Just as I wanted. You just cannot stage some of these precious moments. I have stared at every picture for at least 5 minutes each and am still in awe. The emotion on my parent’s faces, the true joy of our guests dancing, and my handsome, handsome husband. I don’t know how I can ever show you just how grateful we are. I cannot wait to share these! 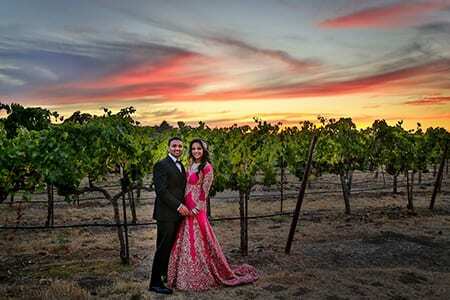 “The aspect of my wedding that was most important to me was the photography so I spent hours upon hours looking through the profiles and portfolios of photographers but none gave me the quality I was searching for until I found Tim Halberg. His images are so stunning and he is a joy to work with. He is a very calming presence to have on what can be a very stressful day. His love of adventure and all things fun comes out from the moment you meet him and he inspires that from everyone in front of the camera. “Tim Halberg is a truly gifted photographer and we can’t recommend him highly enough!! You would be very very lucky to book him as your wedding photographer. Our wedding pictures were absolutely, breathtakingly STUNNING!!!!!! Tim really captured everything! The scenery, lighting, emotion, guests, energy…everything! One of our favorite moments of the wedding day was after the ceremony. Instead of posing for typical bride and groom photos, Tim told us to just be ourselves as he shot pictures of us. 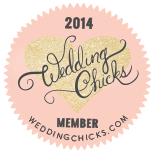 “Easily one of the best decisions from our entire wedding and before! We were referred to Tim through a dear friend who is also a professional photographer. He shot her wedding, which I always recognize as no higher compliment/testament since she knows the craft as well as she does. She said, trust me YOU WILL LOVE HIM. She was right – we did LOVE Tim. Since our wedding was a destination in Mexico over Memorial Day weekend, we invited Tim to join the casual welcome dinner as a guest before the festivities really began. In typical Tim fashion, he went above and beyond the call of duty and started snapping photos throughout the night. While we did not expect it, we were so appreciative and love the photos from that first night! “Tim has a way of capturing every moment, memory, and some of the most amazing pictures I have ever seen. Tim has a eye for something as simple as flowers, shoes, jewelry, dresses, etc and make them the most amazing pictures. When Tim gave us our survey for what we wanted captured there wasn’t a doubt in my mind that he would miss a thing. He was beyond my expectations and captured our entire special day. Weddings go by very fast and as a bride and groom there are bits an pieces that are remembered. With Tim we were able to relieve our special moment thanks to his amazing photos. “Tim is the BEST! He was the photographer for our engagement session in China Camp and wedding in Healdsburg. Tim is extremely professional and on top of everything but tons of fun at the same time which made our events that much more memorable. All of our wedding party and even the guests still mention how nice and fun Tim was at our wedding which can be seen in our photos. Tim took the time to check out our venue weeks ahead of time and scouted out some beautiful shots in the vineyard. 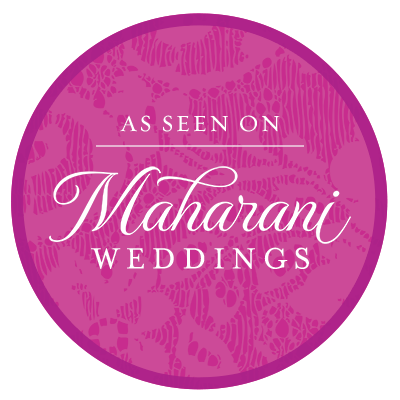 His experience and preparation allowed us to maximize time at the wedding while getting all of the shots that we wanted; and more! Taking posed shots with my severely disabled sister and some of our elderly family can be tough but Tim did a great job working with the group (during a heat spell) while staying positive and came out with tons of great photos that we will enjoy for a lifetime. “Tim is the best! My husband and I always look back on our wedding photos and say “Wow Tim did such an amazing job- so GLAD we hired him!” One year later i’m still amazed at the details he captured on our wedding day. Here are some things you can expect with Tim as your photographer…. 2. Every moment captured. I could literally put together a detailed photo timeline of eveyrthing that happened that day plus moments I missed in person and details I just didnt have time to admire! 3. An organized wedding day. Tim captured all the family photos I asked him to and I hardly noticed him that day. In other words, he lets you enjoy your day while he takes care of the rest. 4. Great client service. From day one Tim took the time to listen to us both and took both of our personalities into consideration. A year later I can still ask him for advice on things like the best place to print our photos and he always responds as if he was still working with you. 5. Very reasonably priced packages. Its very daunting to hear prices quoted when trying to find a photographer. Tim worked with us to help us stay within our budget. There are many photographers out there that might charge less, but for the quality of his photos, his price is well worth it. 6. Generousity. Once you hire time, he doesnt hold back! We got over 400 photos from our wedding day, all of which were given to us in Hi Res format. He doesnt charge by hour like many photographers do. He simply does what it takes. 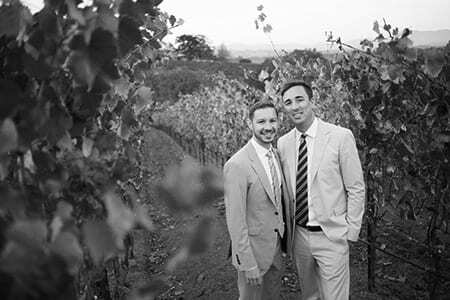 “My husband and I were married at Nestldown in Los Gatos, and next to the venue, the photography was the most important vendor to me. I spent months looking through photography portfolios and as soon as I saw Tim’s blog, I knew I needed to book him. We live in New Hampshire so we dd not meet them until we went to California in July and had our engagement session. My husband was worried that it would be awkward or uncomfortable to have someone we just met taking our picture for an hour, but it was completely the opposite. Tim made both of comfortable. We had so much fun during our session and the photos were amazing! The day of our wedding (November 3rd) was also Tim’s wedding anniversary. Tim is laid back and his demeanor is exactly what I hoped for during the busy day. He worked hard all day and at the reception they put a laptop out displaying the photos they had taken that day. I had guests come up to me and tell me they could not believe the photos. Our bridal party loved him and he made everyone laugh throughout the day.